Four years back, I was travelling across the country attending different interviews, and group discussion processes for various B-Schools, seeking an admission there. This also took me to Delhi, aspiring for a seat in DOMS, IIT-Delhi. 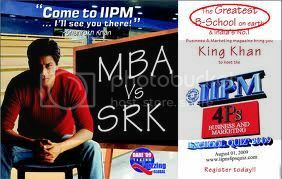 After the interview, as is the habit, I set out walking around the city near the campus, and I bumped into the IIFT campus (one more dream place to join) and IIPM. Did it attract me? Absolutely. Long cars, hot chics, an auro of richness in and around the place, it just seemed like a page out of a Hindi movie college campus. No doubt, Arindam Chaudhuri played very well on the middle class Indian sentiment of providing a “good” education to their children no matter what, and how much ever it costs. Whether affordable or not! I first heard about this “great campus on this planet” in their full page newspaper ads, across newspapers. 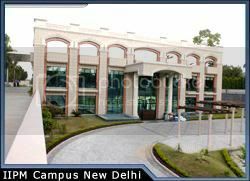 INDIAN INSTITUTE OF PLANNING AND MANAGEMENT (IIPM) – Dare to think beyond the IIM’s glared the newspaper, with a pony tiled comic looking guy smiling with his shining white teeth flashing so very obviously. 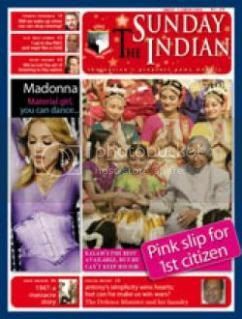 One more instance put IIPM into my mind – coming up with 4 magazines and in vernacular languages too. The cover pages of the magazines were no doubt attractive and provoking, and only after buying it does one understand that it is just all jazz with no real matter! Was it over? No! Rok Sako toh Rok Lo – the movie Arindam produced marking his entry into bollywood, very unconventional for an academic. Totally serves the purpose! Middle class Indian now treats him like a celebrity. Rok sako toh rok lo, he literally seemed to say. Nah! My man, Arindam is still not happy. The students are still not flocking in the numbers that he would have ideally wanted for his campuses across the country. So what if the promised swimming pool is present only at one campus? So what if all that is shown on the ads, are not really present? So what if the institute claims of having tie-ups with international institutes? Nobel laureates being passed as IIPM faculty, top rankings above the IIM’s, and many other marketing initiatives still seemed less for this “visionary”. Now, why am I ranting about IIPM and its kartoot across the years today? This ridiculously funny piece of news, that IIPM has sued a magazine, a publisher and GOOGLE for Rs. 50 crores! Why? A cover story published by the Caravan magazine in February 2011 issue, titled ‘Sweet Smell of Success: How Arindam Chaudhuri Made a Fortune Off the Aspirations—and Insecurities—of India’s Middle Classes’, which has been excerpted from Siddhartha Deb’s upcoming book published by Penguin, has allegedly caused “grave harassment and injury’ to the brand IIPM. The funnier part, besides the point that google was also being sued, is that the suit has been filed in Silchar, Assam! Why? No idea! IIPM is based out of Delhi, Caravan is based out delhi, and Delhi should have been the obvious choice! The IIPM filed the case at the Court of Civil Judge in Silchar district, through one Kishorendu Gupta( a commissioned agent of IIPM), who operates Gupta Electrical Engineers in a Silchar suburb, and is the first plaintiff. IIPM is the second plaintiff. This is not the first time Arindam Chaudhuri is up against the publishers. A good couple of years back, in 2005, the IIPM filed a case against Rashmi Bansal, a blogger and editor of Just Another Magazine (JAM), who published a similar article questioning many of the claims like accreditation, made by the IIPM in its brochures and advertisements. The IIPM filed a case against Bansal from Silchar, Assam, even though she runs a small independent outfit based in Mumbai. Even Gaurav Sabnis, A blogger, was implicated in this case. Again in 2009, Careers360 magazine, carried an article titled “IIPM – Best only in claims?” investigating the authenticity of many of the claims made by the IIPM in their advertisements. The IIPM, again, filed a case against the magazine and the publisher in Silchar, and obtained ex-parte restraint against them. The IIPM also filed a criminal case against Maheshwar Peri from Uttarakhand, which was subsequently quashed by the High Court. The cases against Rashmi Bansal and Careers360 are both still underway at the Silchar courts, as the IIPM seems to be interested in dragging the matter out now that their purpose has been served by obtaining interim restraints. Public memory is limited, and greed and gullibility – unlimited. Arindam is the perfect Marketing manager to capture this insight and use to his complete advantage. What purpose does it serve IIPM? The court in Silchar has ordered an “ex-parte injunction”, asking the magazine to take down the posts, similar to what it has done with JAM magazine six years back! Apparently, the legal system in India allows for this. Would Arindam win the case? In all probability no! but who needs to win anyways. He has got his way, the articles are down, and the case would be pending in that remote court for ever, as happens with court cases in india. Till then, Arindam would have minted much much money from the innocent gullible parents, to be able to fund his Bentleys and other pursuits. One observation in this whole issue – Why did Arindam have to wait till now to sue caravan and other, when the article was published in February itself? Oh! Admissions time, you don’t want bad publicity. Caravan magazine would be read by a handful of people, and you suing it would give the article a more wider reach ( like it has done now!). So, wait for the admissions to be done ,let all the money reach your safe, and then suing can keep happening. Silchar courts, am sure would not object to it ever! Only that this time, Arindam has probably undermined the effect of social media, and its reach. Getting an article off one magazine does not ensure that it is completely off the internet. Shutting the mouth of newspapers by dangling the full page ad wala carrot in front of them, will not shut normal junta from sharing it on twitter, and facebook and let everyone know about it. Now just hoping, blogger does not feel intimidated, and take it down. Else, there would be a hundred other places again where it would be reposted. What piques us (elites, if I may say so) about IIPM? There are thousand institutes like it and I have not come across any questions on their stamped degrees. Enter any non-MNC office and you will see a lack of well-dressed, do-as-you-are-told,moving-as-a-fly troupe of young people [you do see such people in MNC offices, they hire from IIMs, pay more, much more…but that’s another story]. There is a huge demand for stamped certifications among the Indian populace, and not all of them can afford to go to do tom-di@@-harry courses in LSE and Amreeka after a 60 %ile in CAT. IIPM brings these two together, and I think does a good job of it. It’d probably be making money without the bad press (maybe bad press helps, who knows) had it not published ads saying what it did about IIMs. All the best Mr Arindam, make money with humility, elites won’t mind you then. @ Puneet: true, nothing comes up against those thousands of institutes, coz they do not do it on this scale. I don’t deny that the craze for stamped certificates has created a very good market. My only concern is the way in which innocent parents, and the children, are promised stuff which is not actually there. Every candidate cannot go about doing the complete investigation, and when the journalists do it, they get sued! There stands the irony and the anger!